Rudy Giuliani said in an interview published Tuesday that President Donald Trump wasn’t planning on pardoning anyone now that the special counsel Robert Mueller has handed in his final report. Giuliani—the former mayor of New York City and now Trump’s lawyer—spoke with the New York Daily News, which asked him about potential pardons. The Daily News wrote that the conversation took place on Sunday. The Daily News pointed out the former mayor told the paper last summer it was possible Trump would issue pardons upon the completion of the Mueller probe. A number of Trump associates—including former campaign chair Paul Manafort, former national security adviser Michael Flynn and former adviser George Papadopoulos—were indicted in the Mueller probe. Manafort has been sentenced to more than seven years in prison for various charges, many of which were financial crimes. Giuliani has not shied away from the public eye since Mueller handed in his report. As it stands, the public has not seen the full report, but rather a summary of its contents from Attorney General William Barr. Barr wrote that Mueller did not find evidence Trump or his associates worked with Russia to meddle in the 2016 election. And when it came to Trump potentially obstructing justice, Barr wrote that Mueller’s report “does not conclude that the President committed a crime, it also does not exonerate him.” Barr wrote that he did not find enough evidence to pursue obstruction. Giuliani told the Daily News that the report’s refusal to exonerate Trump was a “cheap little shot,” but—in a different interview—he also expressed happiness with the finding that nobody in the Trump circle worked with Russia. 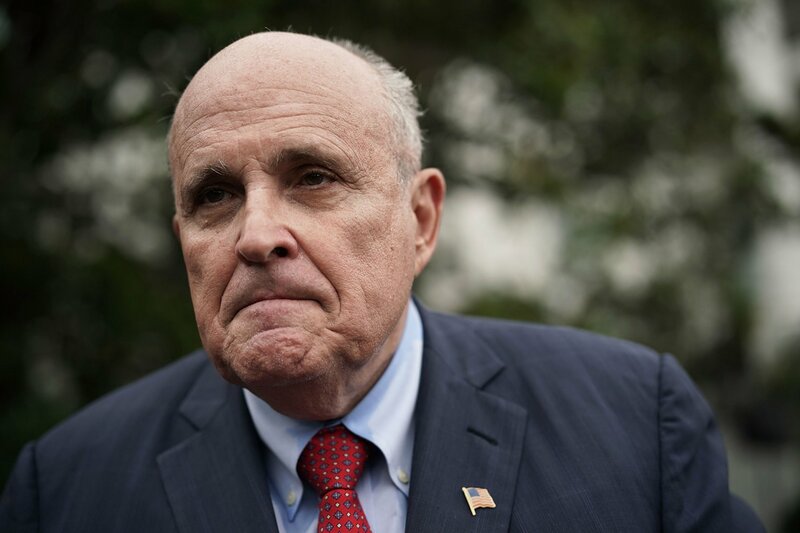 In a live-streamed Monday conversation with another Trump lawyer, Jay Sekulow, Giuliani said he had worried that someone in the campaign’s orbit could have secretly worked with Russia.